If you ask me what's my favourite bubble tea, I will definitely tell you I'm on #TeamGONGCHA!! A little bit about Gong Cha. 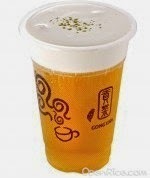 Gong Cha means "Tribute Tea" which originated since ancient times in China. Tea is presented to the Emperor and only the top quality ones are used. 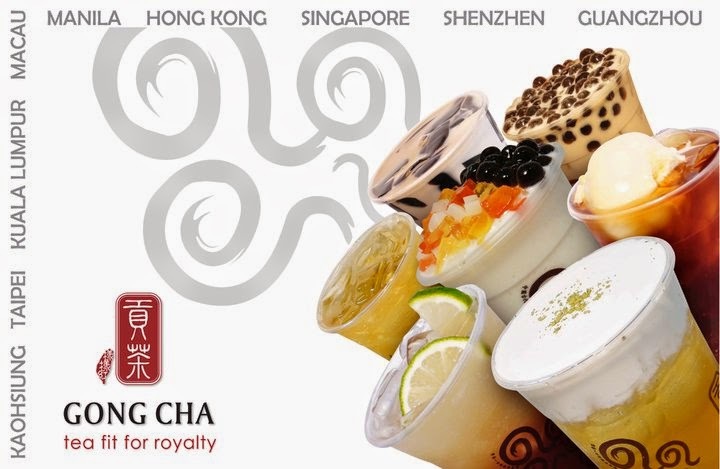 The Gong Cha chain has now expanded worldwide and are commited to offering tea "fit for an emperor" to their customers. Of course, aside from tea, there are other beverages as well - all equally natural and healthy and yummy! My absolute favourite drink would be the Signature Green Tea with Foam & White Pearls. mm.. actually the Wintermelon one is pretty good as well.. I recently got elected as the Organising Head of Freshies' Night on 5th August 2014 for my programme. After being in the VU Business Club for a year and a half, this is by far the biggest responsibility ever handed to me. I'm wasn't sure if I should rejoice or crumble into a ball of stress. Of course I chose the former because I'm not doing it by myself. 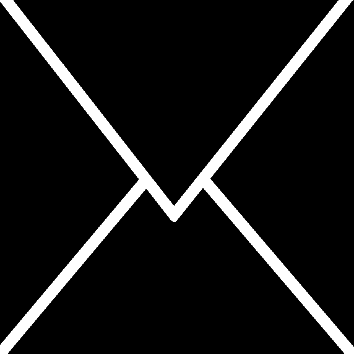 We are currently searching for sponsors for the event, targeted at 230 participants on campus. 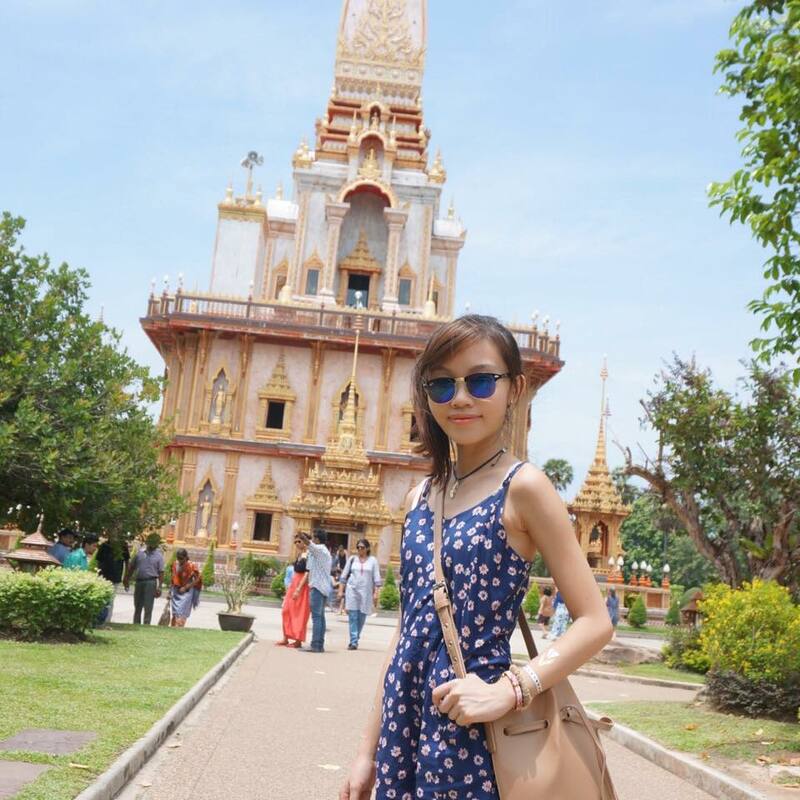 The theme is Cultural Night. It'll be a super fun event, filled with colours, games, performances, culture and food. Of course, what's missing is a yummy cold drink after running around playing ice-breaking games.... And that's where Gong Cha comes in! In my head, I'm imagining a huge Gong Cha truck parked outside Sunway uni and the participants will be lead downstairs from the hall to grab their drinks, before heading back to enjoy performances for the night. Wouldn't it be so cool to Party with Gong Cha?! Literally! Not only that, the Freshies aka new intake students will be thankful to have something to break the ice among them too. I mean, who doesn't love Gong Cha? Like they always say, friends can bond over a cup of coffee. Well, I say they can bond over a cup of Gong Cha too! 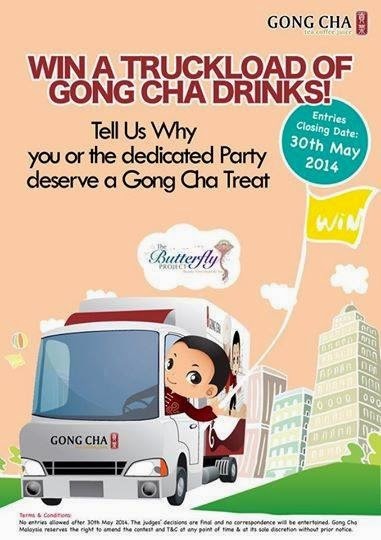 Interested to win a truckload of Gong Cha drinks too? Head on over to Butterfly Project Facebook to find out more! :) You can register here before 30th May 2014. Don't forget to LIKE Gong Cha on Facebook too! 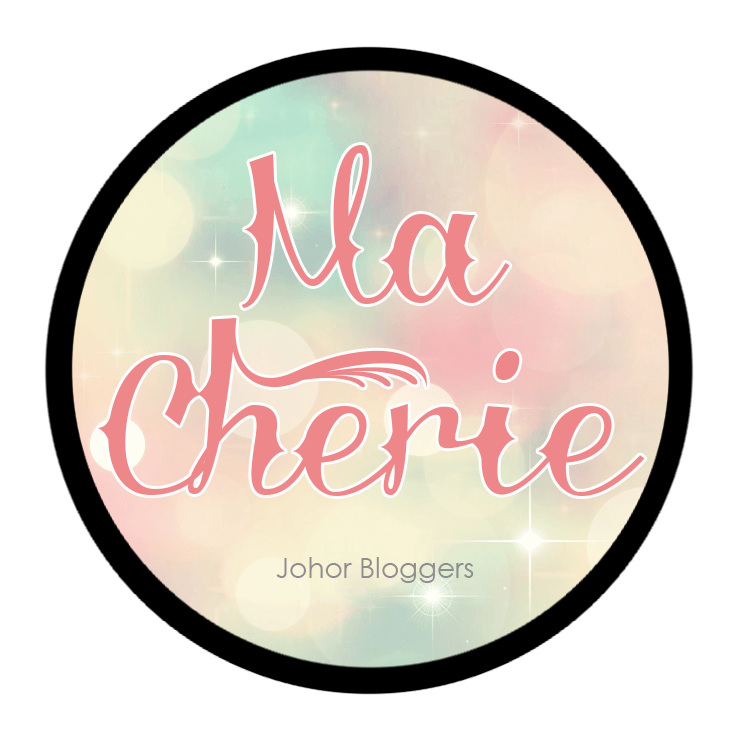 Disclaimer: Even though the product was sponsored, the review is based on my honest personal thoughts, experiences and preference after using the product.